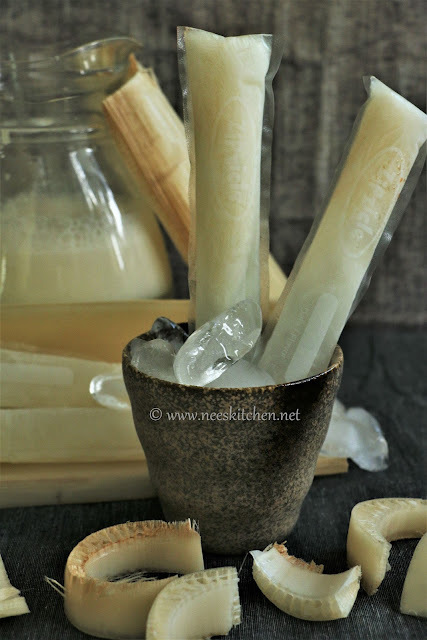 Even though the terrible heat wave is helping us save gas by allowing us to cook dosa’s on the hot floor, I would still prefer to stay indoors and enjoy my healthy Popsicle. 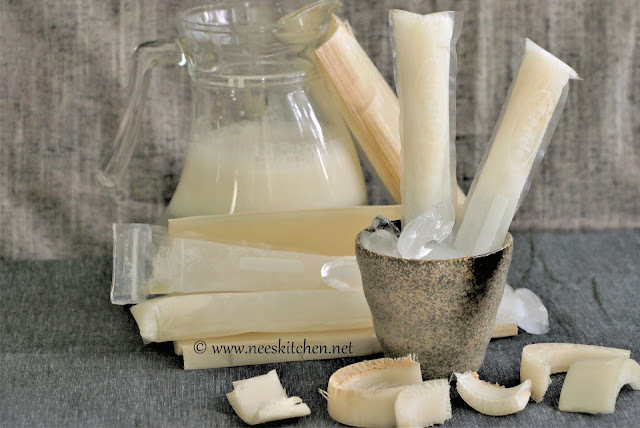 Vazhaithandu Neer Mor Ice pops | Banana Stem Buttermilk ice pops is very healthy and guilt free icepops. It can be consumed by any age groups. 3. Combine yogurt, hing, salt, lemon, curry leaves with the diluted juice. 4. 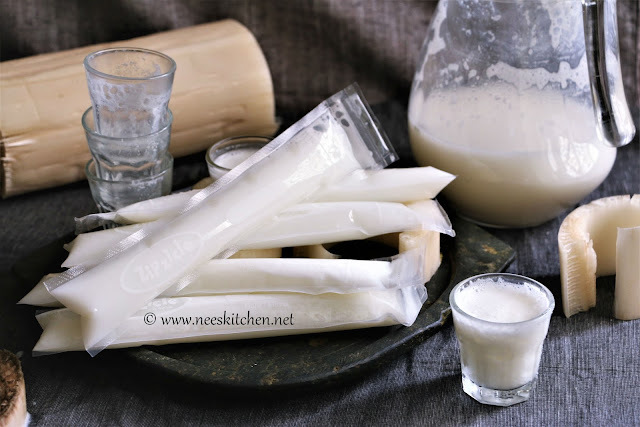 Churn them nicely without any lumps. 6. Freeze for a minimum of 6 hours. 7. Once the popsicle is set, warm the outer portion of popsicle with your hands or just dip it into warm water before consuming.